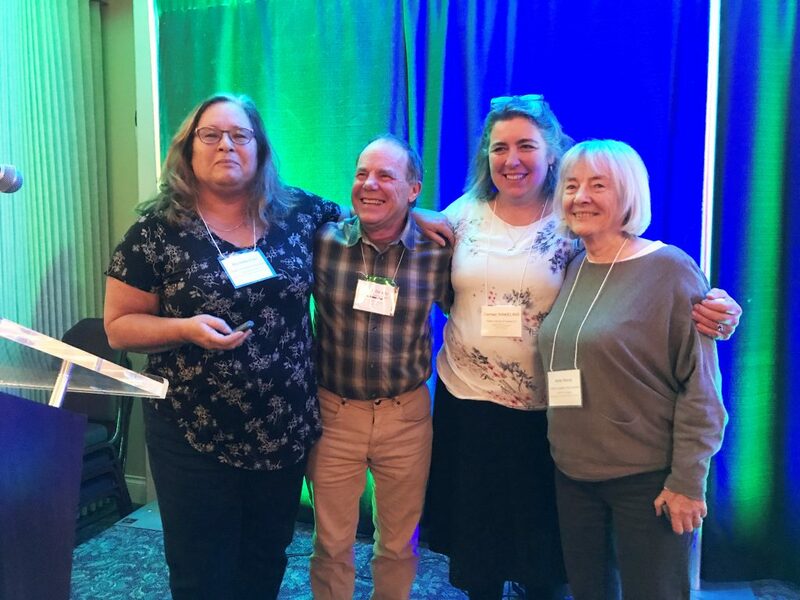 VERNON – Celebrating organics while preparing for the next generation of consumers was a key theme of the annual conference of the Certified Organic Associations of BC in Vernon, February 22-24. An open discussion on Friday night, a Saturday morning panel and a Sunday roundtable all touched on the challenges the sector faces as organic products become the norm rather than alternatives to conventional offerings. While last year’s conference in Abbotsford heard from the sector’s pioneers, this year’s meeting looked to build on their foundation to serve the first generation raised in homes where organic products were the norm. But some noted that forerunners such as Aaran Stephens of Richmond-based organic cereal maker Nature’s Path Foods Inc. were absent. While the conference attracted close to 200 people, COABC reports 764 producers registered with its certification programs in 2018. Nature’s Path wasn’t the only absence. Some of the province’s largest growers were absent, including some from the Interior. Krystine McInnes of Athena Farm in Cawston is the largest organic vegetable grower in the Similkameen. She believes COABC is a critical organization for organic growers but as a producer farming 60 acres she would like to see it engage in greater outreach and advocacy on behalf of growers in the face of economic pressures and a variable climate. Sessions at this year’s conference addressed some of the issues concerning McInnes, with presentations on business management and climate change, as well as social issues related to Indigenous peoples and seasonal workers. The challenge of staying relevant isn’t lost on the association, which launched a core review last November to help it become more responsive to the needs of the sector and consumers. The review coincides with the province’s new organic labelling regulation, which aims to reduce consumer confusion. The regulation kicked in smoothly, but using the word “organic” in business names is still problematic. The province’s organic specialist, Emma Holmes, says the ministry’s compliance office can’t ticket companies as long as the term isn’t used to describe the company’s products. However, business names are being collected and could be handed over to the Canadian Food Inspection Agency for consideration under regulations governing misleading claims. Raising the public profile of COABC and the organic sector through greater use of the association’s checkmark logo is something COABC president Carmen Wakeling would like to see. The logo has accumulated a degree of brand equity that risks being lost if producers don’t exercise it. It provides consumers with a recognizable brand for locally grown organic produce, something Wakeling said supports consumers’ desire to support local growers. “If we can’t provide that, somebody else will,” she said. But as farms grow larger, not everyone can use the logo. Corry Spitters of Oranya Farms in Abbotsford, the province’s largest organic chicken farm, uses the checkmark on his business card. But his meat can’t carry the logo because it’s packaged under the Kirkland brand in a facility not certified through COABC certification bodies. 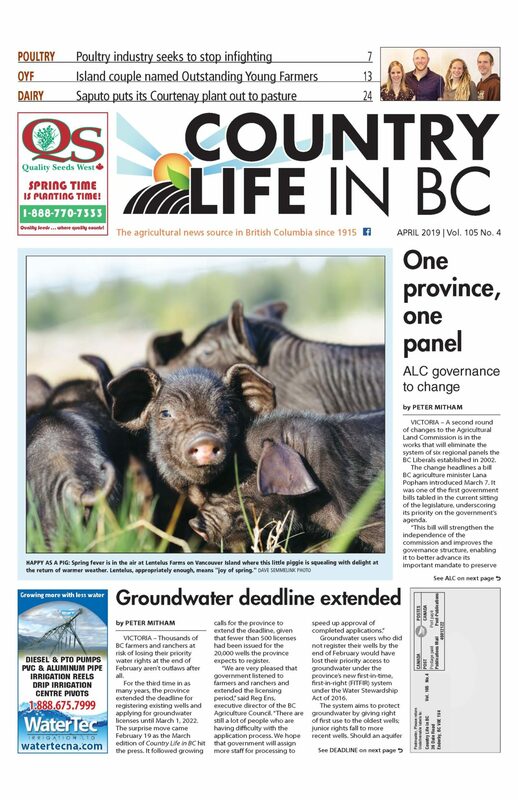 Such situations are prompting COABC to consider licensing the logo to non-COABC members to identify BC-grown organic products. The idea isn’t popular with everyone, but many endorsed the need to build relationships with other organizations. “The foundation of it is relationships, and communication,” said Michelle Tsutsumi, who facilitated the round-table discussion. She encouraged more outreach and connections with farmers and the public, and greater engagement with the world beyond the organic sector. She added that growth, even turning a profit, shouldn’t be seen as a bad thing. She encouraged growers to see the potential to use money for good, rather than act like it’s a bad thing. “Make sure your company’s making money, make sure you’re paying yourself, and give back,” she said.